Jenny is a psycho-dynamically trained psychotherapist with particular interest in Object Relations and Attachment theory. She has developed a professional, compassionate style of working closely and intimately with people according to their needs and their pace. She believes that the core work of therapy is achieved through a very strong, connected therapeutic relationship. Jenny's background is both as a social worker, dealing with clients within the context of their lives and families, as well as a clinical psychologist, focussing on the clients' internal world. Jenny is a psychodynamically trained psychotherapist with special interest in Object relations therapy, Attachment theory, Narrative therapy and Cognitive Behaviour Therapy. She is well trained in all these modalities and integrates these approaches in her practice and therapy to meet clients' individual needs. Jenny is a clinical psychologists and a full member of both the Australian Psychological Society (APS) and APS College of Clinical Psychologists. The APS is the national professional body for psychologists, and she abides by its Ethical Code and professional standards. Jenny is also registered with the Psychology Board of Australia (AHPRA)) and she abides by the Code of Behaviour set out by the Board. 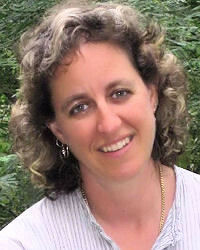 She has had her own private practice for the last 17 years, working with individual adults and couples. During school hours and after hours. Jenny is a registered provider with Medicare and you may be able to claim a rebate for up to 10 sessions if you are referred by a GP or psychiatrist for mental health reasons. Many health funds offer rebates for therapy with a clinical psychologist.